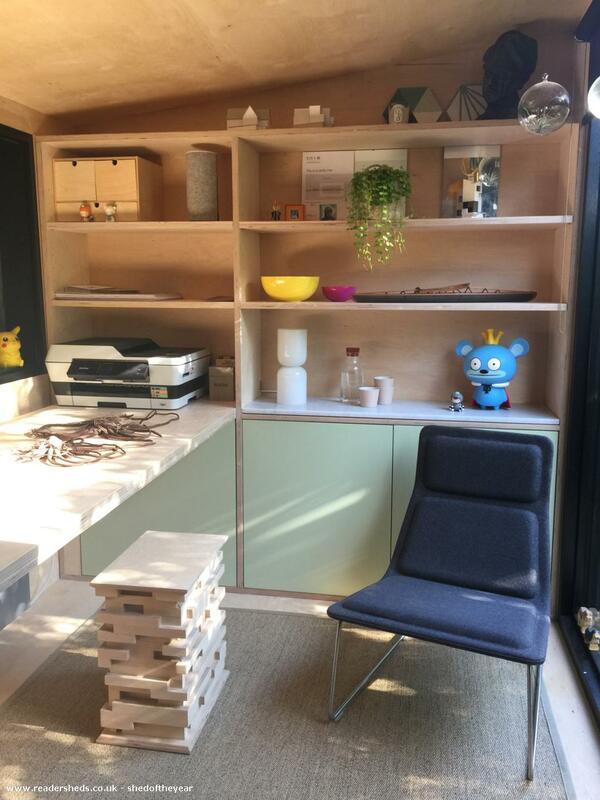 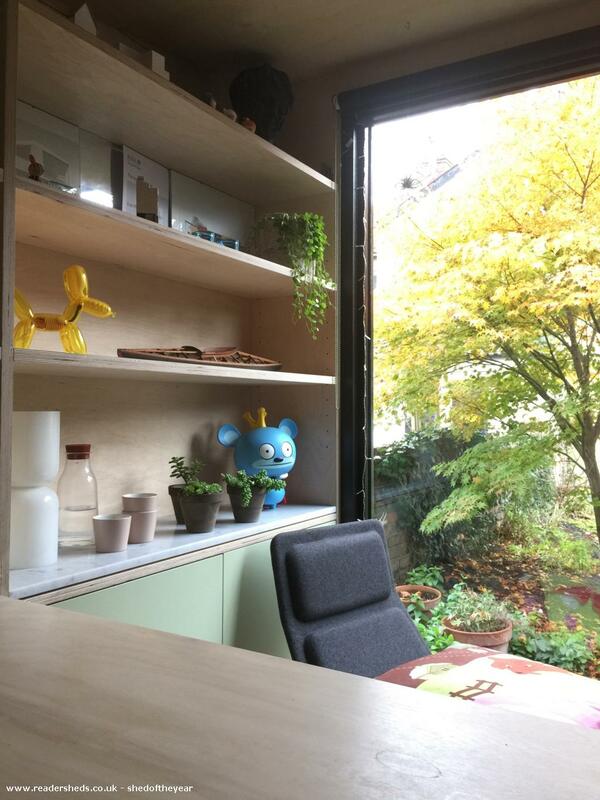 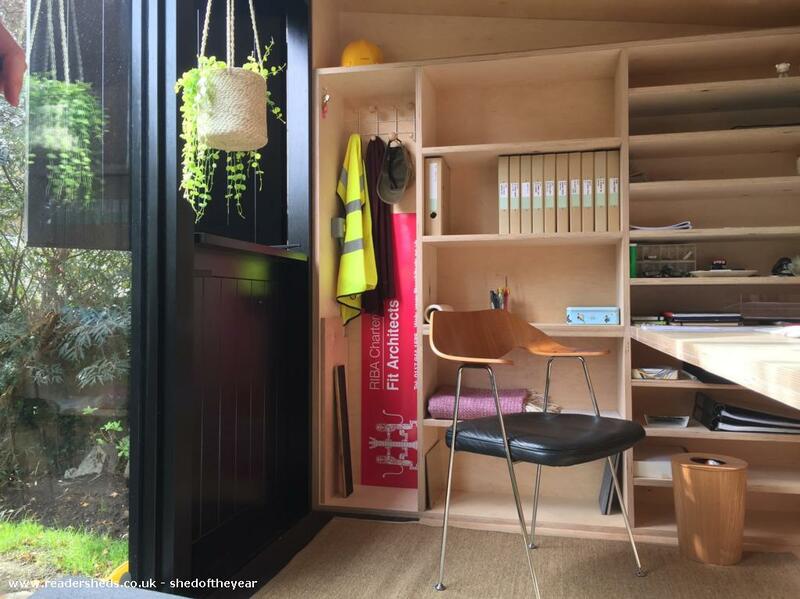 The shed is the home-office for an architect, to escape the noise and clutter of the house and allow them to work while caring for their autistic daughter. 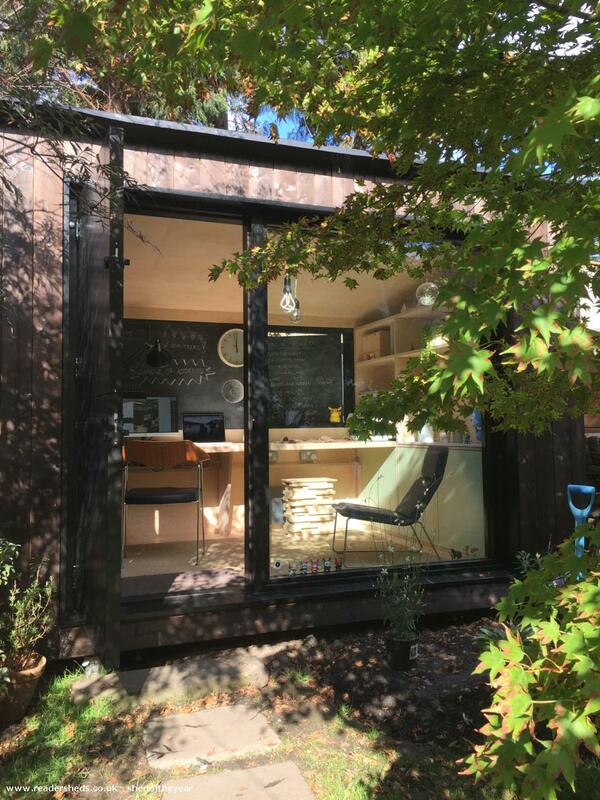 It is also used by the family as a peaceful retreat for contemplating the garden and concentrating on homework. 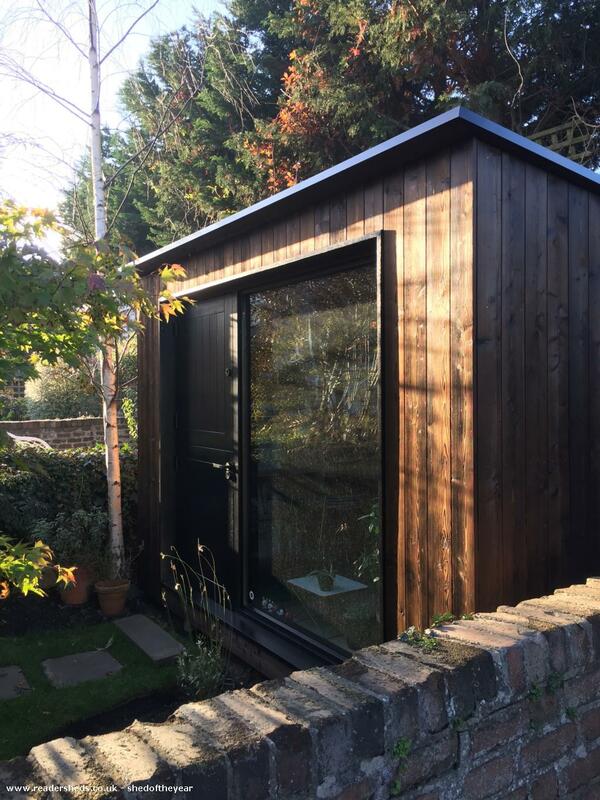 The shed measures only 3.6 x 2.4m and provides a large workspace for one person and sitting area to view the garden from. 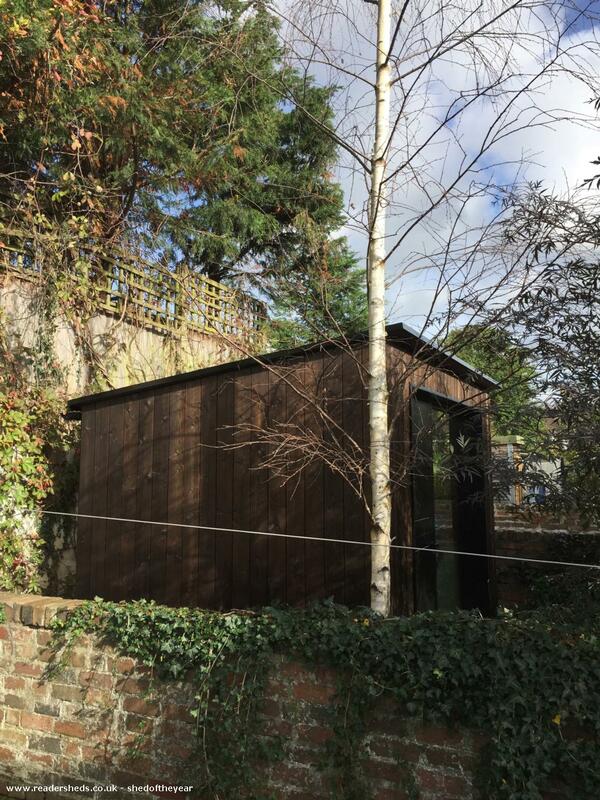 It is clad externally in charred and brushed Siberian larch and fully lined internally with plywood.